“Happy Independence Day. In return, we are going to give you a great new way to get email. It’s called ‘Hotmail’. Be free from your internet service provider!” Proclaimed the world’s first web-based email when it launched on 4th July 1996. The Independence Day launch aimed to symbolise the “freedom” Hotmail offered - from ISP-based email as well as the ability to access your inbox from anywhere in the world. ‘HoTMaiL’, as it was styled (HTML is upper-case) was the brainchild of co-founders Sabeer Bhatia and Jack Smith. The duo came up with their idea for a free email service and approached venture capital firm Draper Fisher Jurvetson for funding in 1995. But while the firm praised the idea it remained unconvinced that such a service would attract enough members to build a company around it. Within two and a half years of its launch, Hotmail was the world’s largest email service, with more than 30 million active members. Hotmail and its (at the time) 8.5 million subscribers were sold to Microsoft in December 1997 for a reported $400 million. The original Hotmail service ran on a mixture of FreeBSD and Solaris. After the sale, Microsoft began the process to move Hotmail to Windows 2000. It struggled. In June 2001, Microsoft claimed this had been completed; a few days later they were forced to admit that actually, the DNS functions of the Hotmail system were still reliant on FreeBSD. 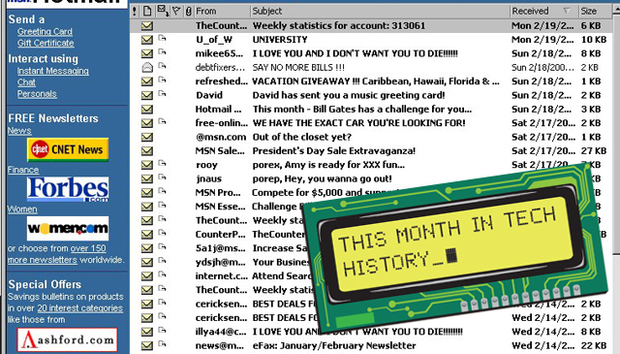 The following year, Hotmail still ran its infrastructure on UNIX servers, and only the front-end had migrated to Windows 2000. Microsoft announced a new email system on 1 November 2005. The Hotmail brand was intended to be phased-out, and the company announced the new service would be called Windows Live Mail. Developers soon forced to backtrack however, after beta-testers were confused by the name change. Microsoft compromised and went with ‘Windows Live Hotmail’.